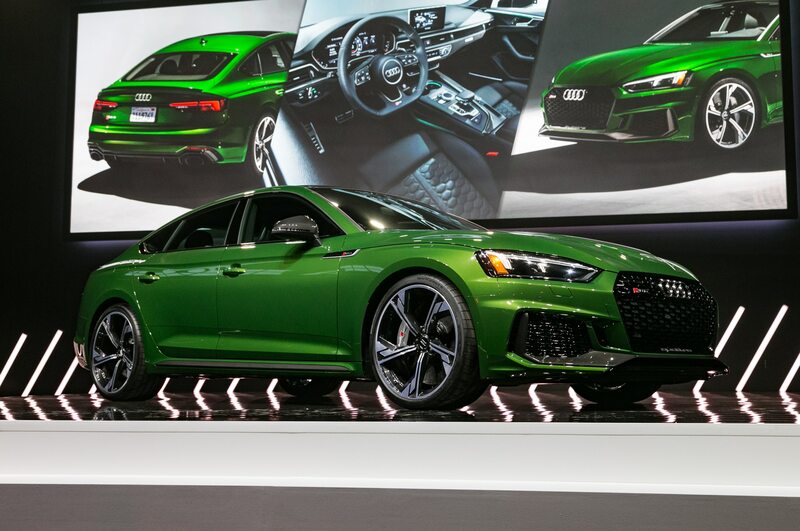 NEW YORK, New York — At last year’s New York auto show, Audi announced the new Audi Sport sub-brand; this year they showed two new models, including the RS 5 Sportback. 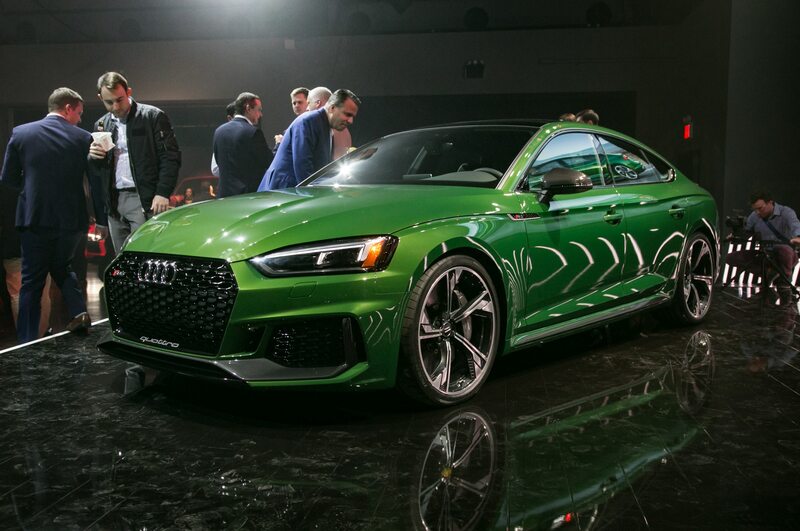 This rakish four-door coupe features the 444-horsepower 2.9-liter twin-turbo V-6 from the RS 5 coupe—and dig that crazy green paint! We sat down with RS 5/RS 8 product manager Anthony Garbis to learn more about the Audi RS 5 Sportback. Here are five things you need to know. 1. It’s coming to America first. Time was when RS models were forbidden fruit for American buyers, but this time the U.S. gets the RS 5 Sportback first, ahead of Europe and the rest of the world. 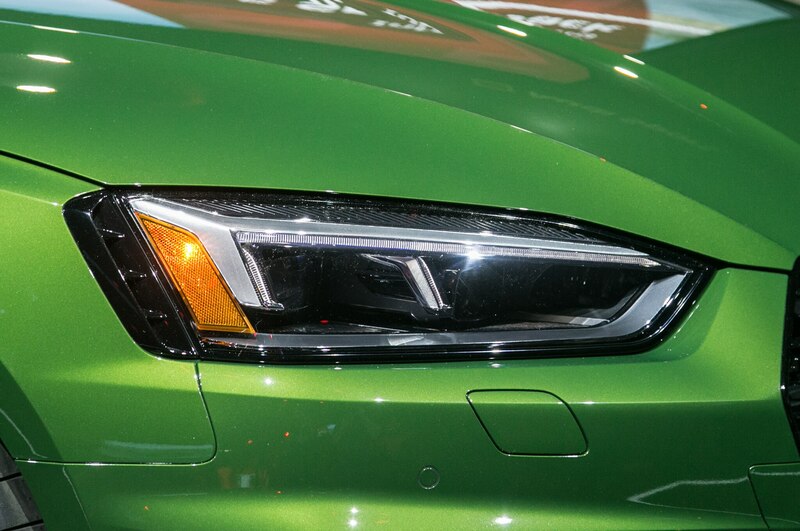 Audi says this reflects the importance of the American market to the Audi Sport sub-brand. 2. 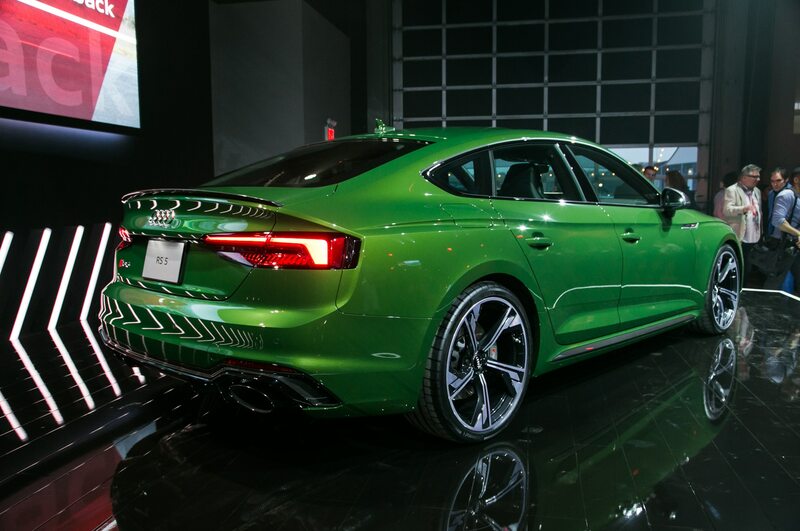 Audi kept it as close to the RS 5 Coupe as possible. 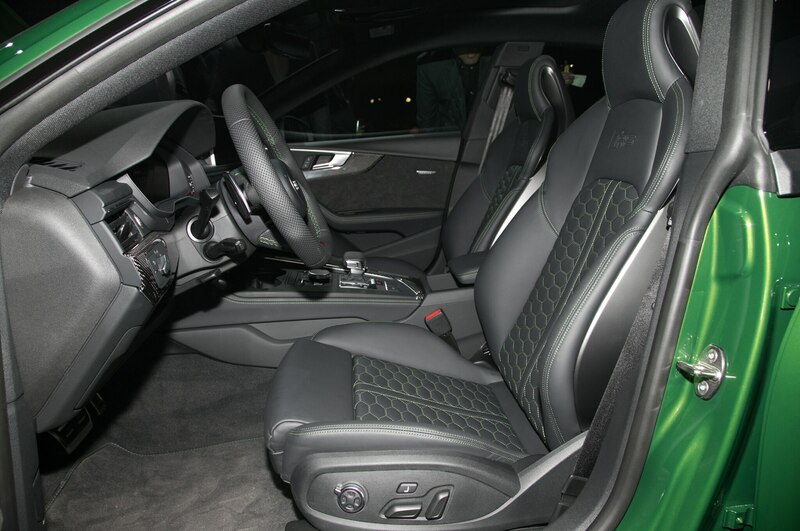 The RS 5 Sportback is identical to the coupe from the windshield forward. The rest of the bodywork differs—obviously—but the engine, transmission and driveline are exactly the same. The suspension is nearly identical, with slight tuning differences to compensate for the RS 5’s extra 140 pounds of curb weight. 3. The turbo piping is made of stainless steel. 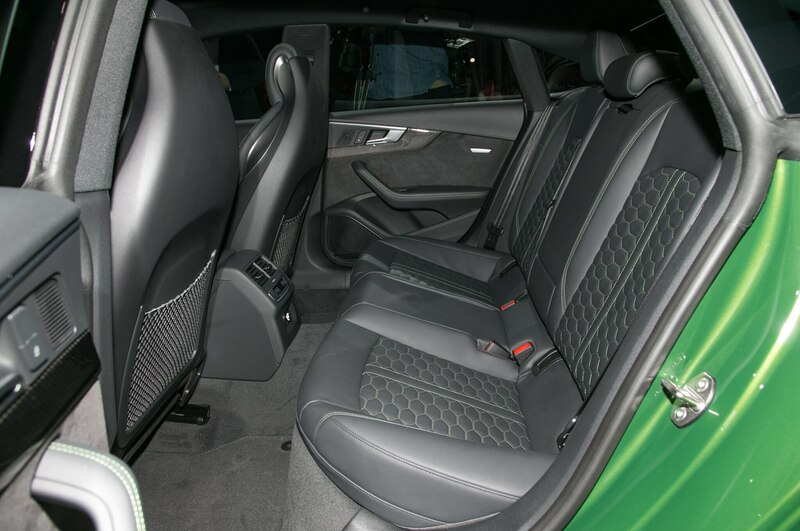 Automakers generally prefer lightweight plastic for turbocharger plumbing, but Audi’s engineers needed to provide maximum airflow in a compact space, so they used stainless steel. This allows the pipe walls to be made thinner, allowing for a larger inner diameter without compromising strength and durability. 4. A torque-converter automatic was the only choice. 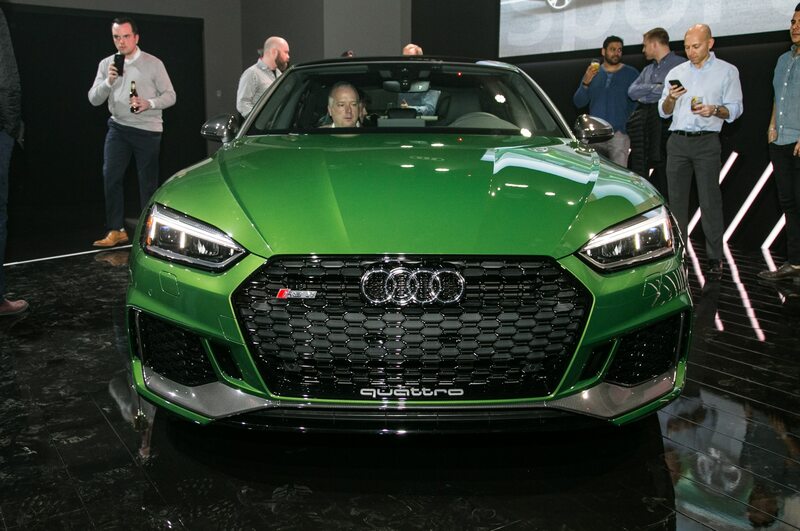 We asked why Audi didn’t use a dual-clutch transmission for the RS 5, and the answer was simple: They don’t have a unit that can handle the twin-turbo V-6’s 443 lb-ft of torque. Product manager Garbis sees another key advantage for RS 5’s eight-speed automatic: Better drivability. “This car is a grand tourer,” he says, and he feels that a torque-converter trans is a better fit. 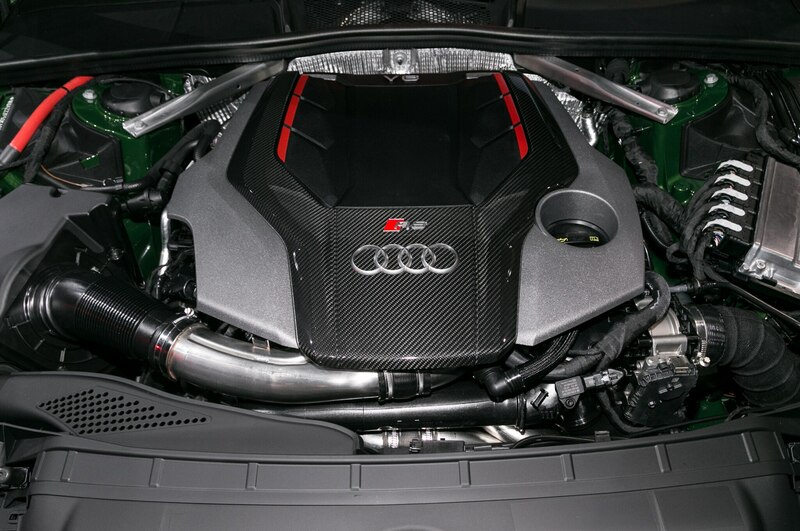 He is quick to add that the transmission is improved compared to the one in the S5, with a unique torque converter and more aggressive tuning. 5. The oil cooler creates downforce. 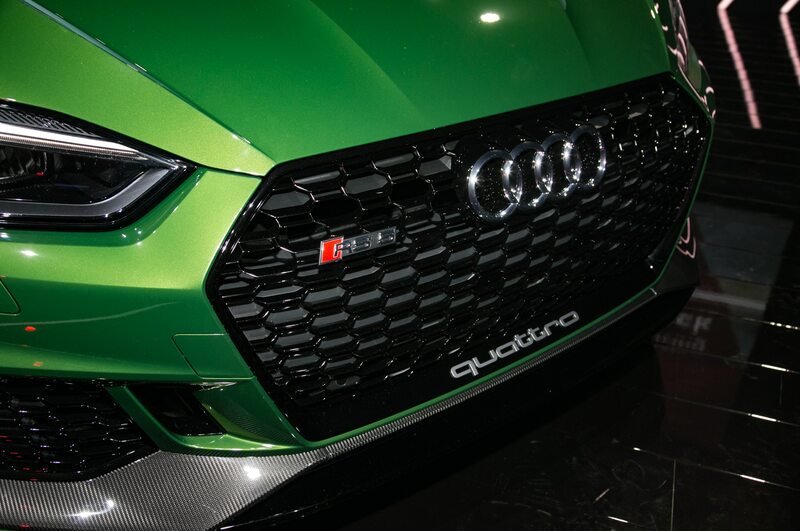 The RS 5’s oil cooler is mounted horizontally under the front bumper, parallel to the ground, with airflow moving downward. The purpose of this unusual setup was to avoid hot air flowing into the engine compartment and reduce radiator blockage, but it also creates downforce—3 pounds at 100 km/h (62 mph).